In this article, we will guide you to install CWM or TWRP recovery on your Lenovo A6000 or Lenovo A6000 Plus whichever device you own. 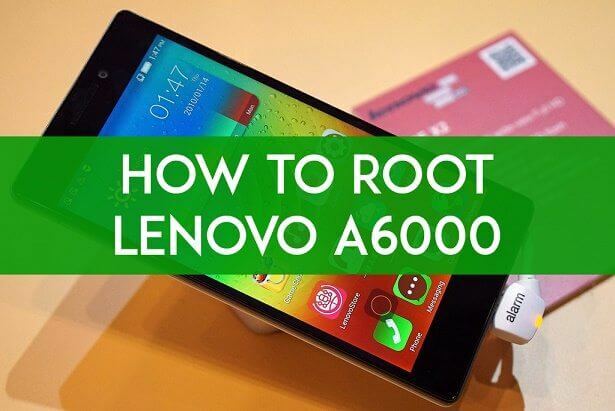 Also, we will help you how to root Lenovo A6000 or Plus in very simple guides through the help of a computer/PC. You can even try Kingroot Apk to root your device without the help of any PC/laptop and also install the CWM or TWRP recovery images with the help of Flashify Apk without PC/laptop. Take a backup of your data. We don’t guarantee if something is erased. Always take precautions. Step 3: Open the C: Program Files (x86)Minimal ADB and Fastboot directory and press and hold the shift key and rright-clickanywhere inside the folder at the empty space and choose open command window here. Step 1: Copy the downloaded file Root-SuperSU-v2.37.zip in the root folder of your SD card. Hello akhil, you need to install certain drivers for the phone on your laptop/pc. Have you tried installing them first? And have you also enabled the USB Debugging feature on your phone? Please reply so that we can figure it out. You can flash stock recovery to remove the CWM. 2. Follow the method from the article above to flash it. The same way CWM is flashed. will this recovery work on lenovo A6000 plus lollipop rom. how to check if cwm was correctly flashed? You’ll be taken to CWM menu once flashed through PC. best way to get TWRp and ROOT is… Follow me. 2- Then root as per kingroot’s instructions ( you must need data connectivity while rooting) it’s take around upto 5 minutes. 4 – Download Recovery image file for lollipop from – [ http://www98.zippyshare.com/v/Mkez9b0I/file.html ] given by our V A Singh and copy recovery.img file from that zip folder to your sd card. 5 – Open Flashify – click on recovery image- ( then it will ask for recovery image ) choose the Recovery.img file which downloaded and copied to SD card. that’s all… flashify will enable TWRP on your Device. well what about stock recovery ? i am not able to boot into stock recovery too !! Are you sure – you are on lollipop? Turn on ur device normally (not into recovery mode). Yes m on lolipop, its booting normally !! but the issue is, i am able to root and get into recovery by this above twrp. but i am not able to do normal stock recovery boot. its just stuck on logo. I m facing same issue, I a unable to flash stock recovery on rooted Lollipop OS. It is going into bootloop. I got 138 mb of stability update on my Lollipop OS. Thats why I am want to flash stock recovery, but it always gong into bootloop. I did all steps but the root is not complite ? I rooted succefully with the above process, but now the new Firmware OTA update needs an unrooted phone. Can you please tell me the way to unroot it who had done rooting with the above process. Cause the update is not getting installed for the root and those who tried it to unroot with kingsroot getting their system crashed. Please help with the unroot process asap… Thanks in advance. First thing is if your device is rooted, OTA update doesn’t bothers if your device is rooted or non rooted. Try to install the Stock ROM for Lenovo A6000 and you will get a non rooted device. Yup the device will be non-rooted but I have to stick with the a6000 specs, as all over the net who flashed a6000 rom in 6000+ stucked to the 6000 specification. And there is not actual solution available to anyone. Is it possible to install CWM without USB Debugging? Because my phone got soft bricked after installed system update ( my phone is rooted ) and I didn’t activate USB Debugging before. Try to connect your Device after you enter Recovery. Did you work it out or shall I help you out? Send me a mail using the contact us page from below. I have rooted my Lenovo A 6000 + by using your method. But now i am getting error ” unfortunately ……. has stopped” all apps are closing by giving the error. My sd card is also not showing in MX player but it is shown in File browser. Please help me to solve this issue. after flashing miui 6 in lenovo a 6000 plus my mobile not rebooting only lenovo logo apearing over all night. Try some other rom instead. Yes this bug is there. so every time we flash it? On CWM recovery, while clearing the /data partitions, I cleared the /boot partitions also, as I believe. After restart I can not go anywhere except the default recovery (invoked by power + volume up + down buttons) console. Can I install the bootloader from ADB sideload or from copying from an external SD card? Try to flash the recovery again. I just bricked my phone..
when i try to install from sd card, it says E: footer is wrong , E:signature verification failed and installation aborted, Why? hey instead of install from sd card it shows update from SD card i did that and then i clicked root su…. bro in the command center it shows waiting for devices in the second last command.please tell what to do! Broda….does this rooting process and recovery images and Pure stock ROM work on 6000plus same ????? did yu tried in real time scenario, if yes confidently then only post methods …. Is it possible to use lenovo a6000 mEthod in a6000 plus,I doubt it,bcuz both configuration are different so how it is possible dude,help me out,I am using a6000plus can I use this tech? I have rooted my lenovo a6000 with CWM and also have taken backup of stock ROM. I would like to know that can I remove the backup of stock ROM files from SD card and store it at separate safe place and when ever i like to restore back stock ROM, just copy the back-up files in SD card again. Will it work? Yes you can keep them on your latop/pc. Whenever you feel like restoring it back. Copy it back and then restore it. It is as simple as you said Aditi. How do I get back to stock recovery for install future updates ? Have you taken a backup of your stock rom? If not then you can download the stock firmware from here and flash it. You will be able to get the future updates officially. if i explicitly reboot from phone then i get stock recovery pls help. Sorry for so late reply, were you able to fix it? Dear admin i have rooted lenovo a6000 plus using Kingroot app . Is there any way to install CWM recovery without using pc. I am sorry but you will have to use the PC/Laptop for the same. If you find something like that Abhijit then please inform us as well. Means in the sd card and not inside in any folder in the sd card. I have finished root by installing adb fastboo in Ubuntu 14.04. Please share how u did in ubuntu..how the phone was connected to pc? what drivers u used? No, it cannot be enabled. This feature is hardware dependent, which is not available in Lenovo A6000. Hi this is awesome tutorial … You are good at android.. !! Can you please tell me , is there any options available to upgrade lenovo a6000 to Lollipop ? Thank you. There is a custom rom of lollipop for lenovo a6000 but it has bugs. Will try to get a fixed one. dear admin please provide estimstion release date for release of custom rom of lenovo a6000 so that we will wait for that..if it takes more time then we will install this rom.eagerly waiting for lollipop because a7000 is runnning with lollipop which is very attractive and smoooooth..hope a quick reply from you. It should be releasing by next month, officially it is mentioned in the second quarter of this year. So we will have to wait till next month. thank you for giving reply..i agree with you but they may release lollipop in any of those 6 month…thats why iam waiting for lollipop custom rom..
Atcor adb reboot bootloader root machines title devi get to reboot? Why would you require that? CWM won’t bring any harm to your device. Its just a window to enter custom rom installation menu. I read from somewhere that when the phone is in power saving mode, it usually force stops the background running apps. Now I am not getting the option for power saving mode to switch it off in the settings. Where will I get that? You can use exposed framework app along with greenify module in it. I will write a guide on it soon. Please give me some time. It saves the battery a lot and also doesn’t shuts down the apps in the background, perhaps it hibernates/deep sleeps it. Make sure the Data connectivity is turned on. Or you can always do a reset of your phone. Please take a backup before doing that. If the problem still persists then reply again. Actually my google account is not syncing. And the playstore is not getting any internet connection though I have a working internet. Let me try to reset phone. Lets see if that works. I have reset the phone but nothing happened. Someone told me to edit the host file in the root folder, it worked. Everything is working great now. I have two problem that I am facing since when I bought the phone. 1. When I go to recent apps and close the apps at once, it force stops the background apps too like Facebook, WhatsApp, IMO, etc. What to do? 2. My GPS doesn’t get locked whenever I use the Maps or navigation. I am glad you have solved the issue. But the Background apps getting forced stopped is quite strange. Also the GPS on this device is not upto the mark. After rooting what all you did? Did you remove any google application? Right click on py_cmd.exe in that folder and Run as Administrator. The CMD window will open. Will cwm void future updates? You will still receive the future OTA updates. Do not worry, I just updated it today. PS : After updating, it gets unrooted. You’ll have to follow the procedure again from above. Will installing void future updates?? N how to backup full stock rom? Hi, Can you post the instructions to unroot this phone? Thanks for the guide. Can you inform how to unroot the device? You’re welcome Joshua and thanks for following us. AP, as of now I did as I found this way. There maybe some other ways as well. But I do not find any harm installing CWM to root your phone. Thank u amrit..done it successfully..
Now im using nova launcher and third party contacts manager called contacts+..
You can do a factory reset and you will get back those applications. Do not worry your phone will be still rooted. I am sorry I’ve no idea. You can try at your own risk. Thanks for following us. You’ll have to follow http://forum.xda-developers.com/showthread.php?t=2317790 for installing Fastboot. If you still face the problem then ask me. those recovery links r not working…can u provide any other links..? This worked well, thanks a lot man. Even I am not able to boot to CWM at the moment, I updated it and since then I am receiving problems. I am not a developer though but what I did I wrote here. At which point you got this error? Thanks for the share that worked for me but each and every time i log in recovery. it only loads the default recovery. What should i do? So you have successfully rooted. It is not landing to CWM?